The first Samsung phone that came with a curved display was the Galaxy S6 edge. 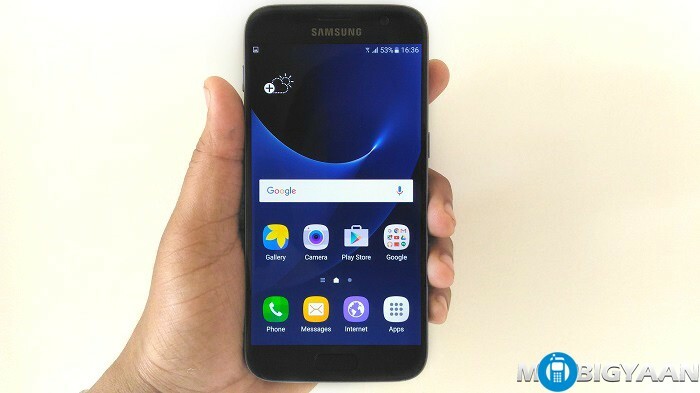 Samsung then launched the Galaxy S7 edge earlier this year and recently the Note 7 with curved display. While there’s still some time for the launch of the Galaxy S8, the rumor mill has already started. According to the latest information coming from South Korea, we might see Samsung launching the S8 with curved display only and there won’t be any flat screen variant of it. It’s worth noting that Galaxy S7 edge which was launched this year saw more demand and sales than its flat screen counterpart. The same was the case with Galaxy S6 edge where Samsung failed to meet the demand of the phone. Hence, it seems Samsung thinks its more profitable to produce and sell the flagships with curved display only instead of making a flat screen variant as well. Samsung has done that with the Galaxy Note7 which has curved edge display and doesn’t have flat screen variant. Samsung is also said to acquire the curved displays in two sizes – 5.1-inch and 5.5-inch, from its display making unit Samsung Display. This might be mean that the Galaxy S8 would be offered in two different sizes. However, we wonder how good the S8 will look with a 5.1-inch curved display. There also are rumors about Samsung introducing the Galaxy S8 with dual rear cameras along with a display having 4K resolution. Well, 4K resolution might be too much on a 5.1-inch display. However, if it happens, we would love to see the 5.5-inch display variant boasting 4K resolution. As of now, these are just rumors and we can only wait to see what Samsung actually comes up with.